A study at UW Medicine’s Harborview Injury Prevention and Research Center has researchers calling for more wide-spread use of helmets to prevent head injuries during snow sports. Data examined from 1996-2010 examined the type and frequency of head injuries related to skiing and snowboarding among children and adolescents. According to information from the National Electronic Injury Surveillance System, approximately 78,000 children and adolescents with snow-sports-related head injuries were treated at emergency departments across the 14 year period in the United States. 77% of injuries were brain injuries such as concussions, cerebral contusions, and intracrainial hemorrhages. Researchers also found that adolescents (13-17 years old) were more likely than children (4-12 years old) to have traumatic brain injuries treated in emergency departments. Furthermore, snow-sport related emergency department visits for adolescents with severe head injuries have increased over the years, despite more scientific evidence demonstrating the potential long-term danger of injury to the brain. Researchers also used yearly estimates of snow-sports participation to account for participation numbers changing over the timespan. 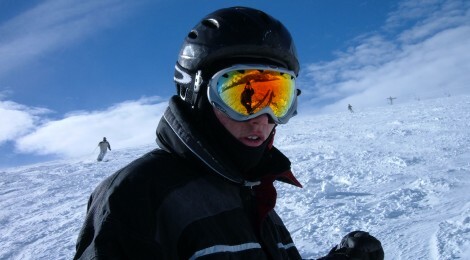 They used the information from a nationally representative sample of ski resorts to calculate injury incidence rates, and found that though the average incidence of head injury among children did not increase significantly over the 14 years, the relative rate of brain injury in recent seasons was significantly higher in adolescents. Funding for this study was provided by a Wilderness Medical Society Research-In- Training Award and the National Institute for Child Health and Human Development pediatric injury research training grant at the Harborview Injury Prevention and Research Center. UW Medicine trains health professionals and medical scientists, conducts research to improve health and prevent disease worldwide, and provides primary and specialty care to patients throughout Seattle/King County and the WWAMI (Washington, Wyoming, Alaska, Montana and Idaho) region. UW Medicine includes: Harborview Medical Center, Northwest Hospital & Medical Center, Valley Medical Center, UW Medical Center, UW Neighborhood Clinics, UW Physicians, UW School of Medicine and Airlift Northwest. UW Medicine also shares in the ownership and governance of the Seattle Cancer Care Alliance with Seattle Children’s Hospital and Fred Hutchinson Cancer Research Center and shares in ownership of Children’s University Medical Group with Seattle Children’s Hospital. National Institutes of Health (NIH) and second among all institutions for NIH funding, public and private. UW Medicine’s 2,000 full-time faculty and nearly 5,000 clinical faculty across the WWAMI program include three living Nobel Prize Winners (five in our history), 32 members of the National Academy of Sciences, 35 members of the Institute of Medicine, and 13 Howard Hughes Medical Institute Investigators. For more information, visit UW Medicine. Follow them on Twitter @UWMedicineNews and Facebook at facebook.com/uwmedicinenews.